Aled Jones explores how people are finding ways to cope with loneliness and introduces some heart-warming hymns. Browse content similar to Only The Lonely. Check below for episodes and series from the same categories and more! there are quite a few about the opposite side of the coin - loneliness. So, how many can you think of? Roy Orbison's Only The Lonely. If you're younger, the version by Akon, the Streets of London. Or Eleanor Rigby with its famous line, "all the lonely people." 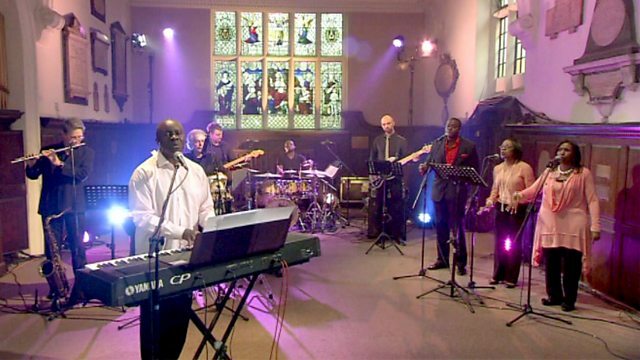 On this week's Songs of Praise, we explore loneliness. most of us experience it, but nobody talks about it. Why is loneliness so taboo? plus some favourite hymns from around the country. There don't seem to be hymns on this jukebox. But I have thought of three more songs about loneliness. and of course, Are You Lonesome Tonight. long before Irving and Hank. David wrote psalms to God in times of isolation. Psalm 142 was written when David was hiding in a cave. As a fugitive travelling alone, he felt vulnerable. "There is no-one at my right hand," he says. "No-one is concerned for me." He implores God to listen to his cry for he's in desperate need. But in his most famous psalm, David is less fearful. He describes the Lord as his shepherd. The Psalms show us that loneliness isn't a new phenomenon. society actually seems to be getting lonelier. and not just amongst the elderly. A large number of young people feel lonely, too. So, why do we feel lonely? Is it something we only feel when we're on our own? Or is it possible to feel lonely when you are surrounded by people? To use that old cliche, can you feel lonely in a crowd? most of his time in solitary pursuits, running and writing. A bit of a change from his previous careers. You've been a vicar, you've worked in a supermarket. Both jobs, I would imagine, involve other people being social. -And then you go and write a book about solitude. the more important it is that you find solitude. What's the difference between solitude and loneliness? Well, I think loneliness is an unhappy state. It's a state of feeling isolated. It feels like a punishment. Whereas, of course, solitude is like a clearing in a jungle. Can you actually feel lonely in a crowd? I think a lot of people are lonely in a crowd. "but, you know, I just didn't feel I belonged." when we lead such busy lives. -Things happening around us constantly. Perhaps that's why. I mean, I think maybe that is why. Because in a way, we're trained, I think we're trained for loneliness. "I must make my children active." "So I must take them to football and tae kwon do,"
so they can distract themselves with that." is to face the times when we're alone. because no-one has ever said, "It's OK to be alone." and you don't like being alone. How do you handle that? Yeah. I think that's a very real issue for people. you need to see that actually that's a message that someone else put inside you. So you weren't born thinking that. Why would anyone be unhappy about themselves? We're born in the image of Christ, in the image of God. So perhaps we start by accepting ourselves. Allowing ourselves to be as we are, who we are. you know, the seed beneath the snow. The seed of love begins to grow. Right through the Bible, you'll find people who are lonely. I've mentioned David and the Psalms. and perhaps even Moses and the loneliness of leadership. that night when all his friends had fallen asleep. I was lonely as a young child at times. and that set me apart and made me a bit different. Then when I went to boarding school, I was very badly bullied. That made me feel incredibly lonely. you're hoping you're going to find somebody. then somebody has the first baby and, "It hasn't happened to me." And that's an incredible sense of loneliness sometimes. Then you hit your 40s and it's like, "Biological clock now is ticking." And, "Is that guy ever really going to come into my life?" Do you think we are actually put on this Earth to be with partners? I think in many ways, yes, we are made to have a partner. Because, you know, male and female are like two halves, aren't they? To come together as one whole. -You know, when you feel loved, you feel less lonely. I mean, it sounds crazy, you can even feel like that with an animal. You feel loved by your dog and you don't feel so lonely. When you were single, you were lonely, were you craving marriage? Because I think for a lot of single people, they see it as the ultimate. It's... Everybody longs to be loved, don't they? because they look at other people and they see love. they see flowers being given, they see meals being shared. So, how have you coped with that personally? At the end of the day, I think as hard as it is, I have to trust God. I have to trust that he knows the overall plan for my life. Do you think the church and faith communities could do more to help? Definitely. We need to actually be reaching out. going to have Sunday dinner on the table. The parents are going to be there, the children are going to be there. "Right, OK, beans on toast for me." then there would be far less loneliness. I gave my life to Jesus when I was 18, nearly 19.
in a way that I had never known. And, of course, that made all the difference. when you have this awesome sense of God's love. who was working in mental health. who were hurting through the pain of loneliness. I joined two months after it started as a volunteer. that expressed my faith in a practical way. to bring about a change in their situation. and a befriending service for those who find it difficult to get out on their own. I've been to Archway since about '94. -Did you have a nice holiday? and the social people at the time took me to see Sheila. I've lived on my own for quite a while now. When I'm here at home, I have the radio on. And that's like somebody being around, you know. And I walk up and down the road. I've been to the shop. What sort of people come to Archway? Human beings from all walks of life and all situations. Sometimes people are lonely because of a change in circumstances. because that sounds like you're blaming somebody. and how we attach to other people. 'A person picks me up from Archway. -What sort of day have you had so far? I enjoy the company, actually. The company and meeting people. You can start with any number card you want. I'm a volunteer at Archways. I love it. which I think creates an incredible sense of community. it's a case of everyone coming here to be together. but helps people from any background. And it's not just aimed at older people either. We see people from 18 to 90 plus. we have a monthly group for people aged 20-40. I've been coming to Archway for about eight years. It makes a huge difference to my life. I have no family here in Oxford. So Archway is always a highlight to my week. I get to see people that are now friends. I'm not so alone any more. Loneliness is quite a big issue for me. And it also links with depression. on our mental health and wellbeing. will relapse into mental illness and, sadly, lead into suicide. I just want to help out in the community. that need a way back in. and somehow they shouldn't talk about it. where people did experience loneliness. and was probably dealing in essence with the loneliness of leadership. In Archway, it's not always what we say, but more about what we do. walked with them and met their need with action. lead me to the oasis of sweet solitude. lead me to the fullness of belonging in this beautiful world. bring me home to loving and living union with you. And that's it for Songs of Praise this week. Join us next week when we've got a rather big topic to discuss. and why you don't have to be Bill Gates to change people's lives. The charity that's starting small, but making a big difference. Plus some classic hymns from around the country.